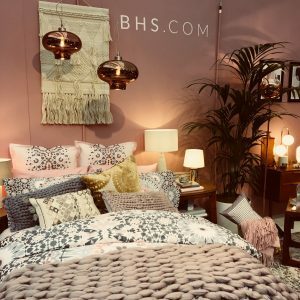 This is my post about my favourite interiors items at the Ideal Home Show. If you can’t see the video please click here. I apologise that the quality of the video is not up to my usual standard as it was done on an iPad which seemed to be more interested in background noise than what I had to say – oh the cheek! 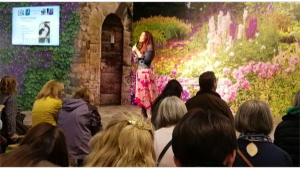 Can you imagine my excitement when I was asked to speak at the Super Theatre at London’s Spring Ideal Home Show this year? I was in the company of the likes of Phil Spencer, Martin Roberts and Laurence Llewelyn-Bowen no less! I did four presentations in total giving home coaching and interiors tips. What fantastic, engaged audiences I had too – so much fun. Of course I made sure I had enough time to check out some of the interiors items though. I was drawn to a mock bedroom. I loved the pink they had used on the walls along with plenty of greenery. It was only when I got closer I realised it was my beloved BHS! Well the online version anyway. Apparently the name was bought by ex-members of staff to create BHS.com. This really excited me as I often used to buy items for the home from the old store. They also have a ‘Made In Britain’ line – a concept I’m always keen to support. 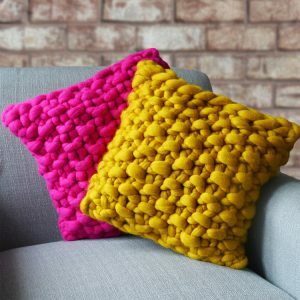 I was particularly taken by the vibrant, chunky knitted cushion by designer Lauren Aston. 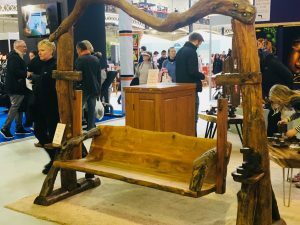 Upcycling spotted at the Ideal Home Show! I always associate the Ideal Home Show with new stuff! So I was very excited to come across Blackbrook Interiors who were also displaying some upcycled treasures. There were a couple of tables that particularly caught my eye. The wood tops were so full of character. It turned out they were made from old Indian rail sleepers. Just goes to show how little really needs to be thrown out. It’s quite hard to think gardens at the moment, as the weather hasn’t exactly sprung into action. But I couldn’t help but try out this swing seat displayed by Mango Crafts. 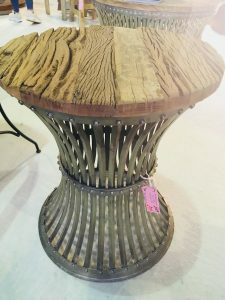 The wood was beautifully chunky, and the design was so rustic I can imagine it looking divine in the garden – when we can finally get out there! I’m obsessed with flooring at the moment. I need to do something with my kitchen and hallway as the original Victorian boards are sadly proving to be way too draughty. This is in spite of me spending days on my knees filling in cracks by the way! 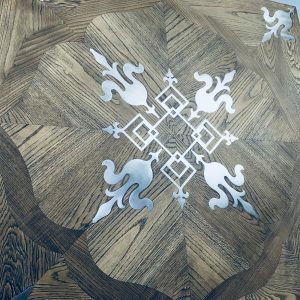 So I was like a bee to a honey pot when I saw the Luxury Wood Flooring stand. There were some exquisite designs, with intricate metallic patterns within the wood panels. It has certainly got me thinking about the flooring for my upcoming build. Not so much interiors, but more appealing to my home coaching side was the journal I bought from Calum Best – yes actually him! Calum was on stage before me and gave a very heartfelt talk. He shared the troubles he’s experienced in his life and how mindfulness is helping him find happiness. 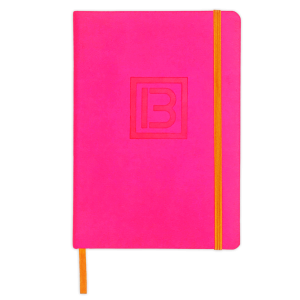 His latest project is the launch of his ‘Best Me’ journal which is right up my street. It has check lists for goals, but also to make sure you are making time for the now. I’m definitely going to use it for my home coaching. In fact in a couple of weeks I’ll do a Facebook live to show how it can help you with home goals. So watch this space! On that note, if you’re interested in making your home an inspiring place check out this post and video. Next Post DIY Spring Decorations… Or Upcycling An Umbrella! Well done Home Genius]! John. Keep up the impressive & inspiring creative flow!